Peg Averill's drawings, accompanied by lively, politically-charged slogans, were mobilised during the anti-war and equality movements of the 1960s and 1970s. Averill was active in the War Resisters League and also in NOW (National Organization for Women). 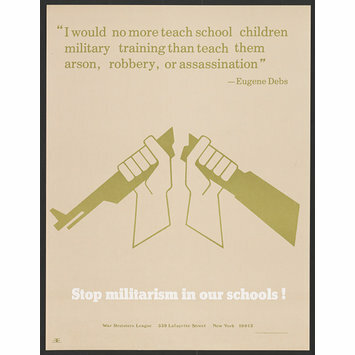 This poster criticises both the American armed forces and education system which promote and glorify military action. 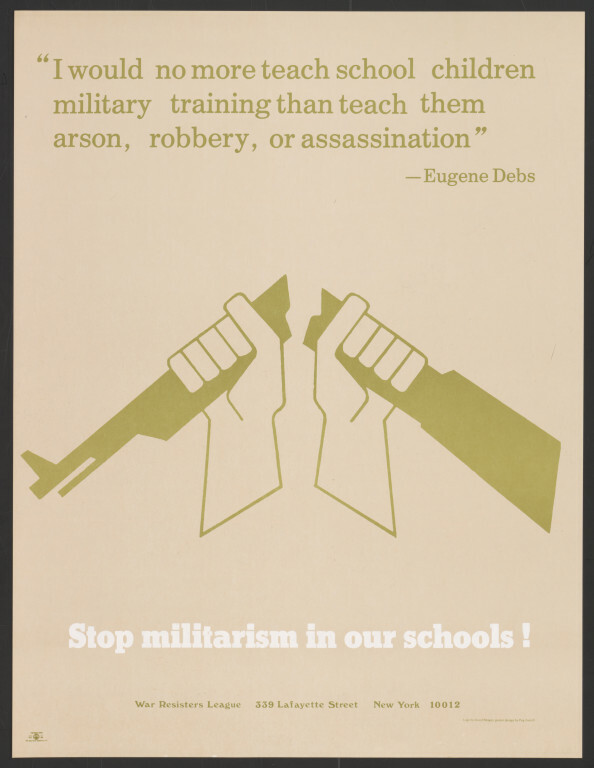 Image of hands breaking a rifle with text quoting Eugene Debs. Poster design by Peg Averill, logo by David Bragin. Issued by War Resisters League. USA.